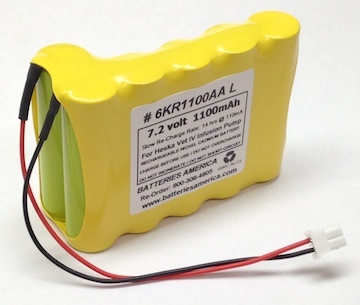 6KR1100AA L : 7.2 volt 1100mAh rechargeable Ni-Cd battery for Heska Vet IV Infusion Pump. These battery packs are made in the USA by BATTERIES AMERICA. Product ships fully tested.